H 199 was placed in a Featherston park in August 1958 where, exposed to the weather and vandals, it deteriorated quickly. 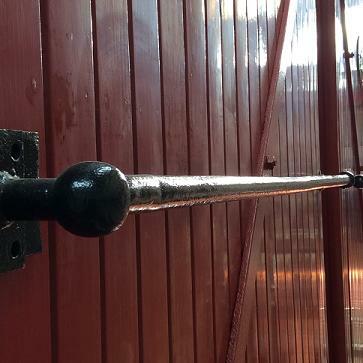 Restoration of the locomotive commenced on 15 March 1981 with the removal of many parts and fittings. On 10 March 1984, H 199 was moved to the specially built Fell Locomotive Museum where it was rebuilt. Restoration was completed after eight years and 9,000 hours of voluntary work on 31 March 1989. In 1990, the Friends of the Fell Society received from the National Federation of Rail Societies the prestigious A & G Price Award for the best locomotive restoration. Between March 1981 and March 1989, the Friends of the Fell Society restored H199 to the condition of when it was last used on the Rimutaka Incline. This photograph was taken in January 1989, at which time the temporary track outside the Museum was still in place. To safely operate the steep Rimutaka Incline, seven Fell brake-vans were built, two in England and five at the Petone railway workshops in Lower Hutt. The vans played an important part in the operation of the Rimutaka Incline. The brake gear comprised four upright cantilever arms pivoted on the floor of each van. 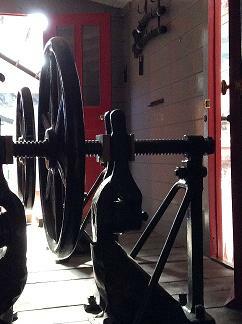 On the lower ends of these arms were bolted the four brake blocks which gripped the centre rail. A specially trained man, known as an Incline Guard, operated each van. On ascending trains, all the vans, up to five, were on the rear. 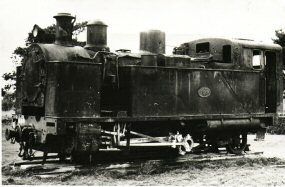 On descending trains, up to three vans were placed behind the Fell locomotives, all of which were at the head, with one van in the middle, and one at the rear.F 210 was built at Petone in 1898. 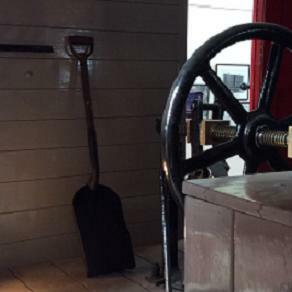 It worked on the Incline for 57 years until closure in 1955. It was then transferred to Greymouth where it worked until 1966 on the Rewanui Incline, which serviced a coal mine. In 1968 it was moved the Museum of Transport and Technology (MOTAT), Auckland. 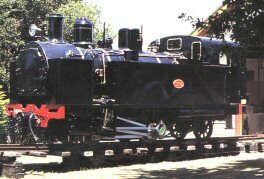 In June 1995, the Fell Museum negotiated a long-term lease with MOTAT, to restore F 210 to its condition when last in service on the Rimutaka Incline. The restoration was completed in August 1997, and this unique vehicle is now displayed alongside H 199 in the Museum. In 1998, the Friends of the Fell Society received from the National Federation of Rail Societies the Rolling Stock Award for its restoration of F 210.